Here is another fascinating (in my opinion) article that never made it to print, though a few Realtors lifted parts of it for their own when I had it displayed on my web site. It is about North America’s only native parrot, now extinct. The story of the Carolina Parakeet also parallels another story from the same era — the story of the Cherokee people who, but for the Lord’s mercy, would have met the same fate as their little counterpart — the green bird of Eastatoe. Swooping low above shadowy river courses, alighting here and there in the overhanging tangles of vines and branches, darting in and out of dense stands of cane — swiftly they fly, in undulating motion, their raucous cries and bright feathers enlivening the dim forest understory. They are gorgeous, in brilliant shades of green, yellow and orange — beautiful birds — that alas, we will never see, for they belong to another time. These winged beauties were parrots. Our earliest written account of them was made by the English explorer Thomas Hariot. He with others was sent by Sir Walter Raleigh to explore the coast of what is now North Carolina just prior to the seating of the Lost Colony of Roanoke Island in 1587. At that time these “parats” were numerous, ranging from Virginia south to Florida, with a subspecies of a slightly variant color inhabiting the Mississippi River basin as far north as Wisconsin. Routhly twelve inches from tip to tip, this bird of extraordinary beauty was known as the Carolina Parakeet. Still plentiful two hundred years later, it was officially catalogued in 1758 and given the scientific name Cornuropsis carolinensis. These were North America’s only native parrots. Today there are none. So what happened to the Carolina Parakeet? For the answer we can look to one of its favorite habitats. 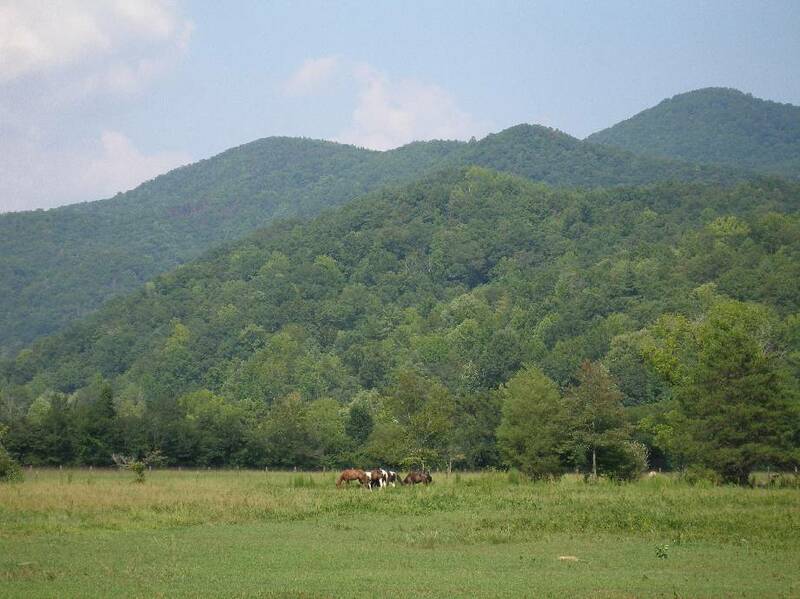 In Upstate South Carolina near the foot of the Blue Ridge Escarpment is a long and narrow alluvial plain, the Eastatoee (present spelling) Valley. Here along the borders of a sparkling stream lived great numbers of Carolina Parakeets, sharing their territory with a band of Indians, the “green bird” people. The Indians were Cherokee, but the nearby white settlers knew them as Eastatoes. The word “eastatoe” is apparently synonymous with the Carolina Parakeet; it has been strnslated variously as “green valley of the bird,” “valley of the green bird,” or simply “green bird.” Whatever may be the exact meaning of this somewhat obscure word, one thing is certain. Eastatoe was a valley of green birds, wild and beautiful. Though still beautiful, today the Eastatoe Valley is no longer wild. In fact it is becoming modernized. Many of the rustic older structures have been torn away to make room for shiny updated ones. “Posted” and “For Sale” sign proliferate. And down at the lower end of the valley is a large master planned residential community on the shores of Lake Keowee. There the penned up waters of an artificial lake have inundated the campsites of the Eastatoe warriors, prompting us to ask not only what happened to our native parrot, but also what happened to our native people. Until recently Native Americans were often stereotyped as hunters and gatherers, primordial people living off the land. While their predecessors might have been primitive wanderers, the Cherokee were largely an agrarian people. They planted extensive fields, gardens and orchards which they tended industriously. Great care was taken to prevent marauding wildlife from destroying the precious produce of the land. The Carolina Parakeet had a noted preference for seed kernels and it is certain he got his share of the Eastatoes’ crops. However there were ample amounts of life’s necessities then for both the bird and the people; and if the Indians shooed the parrots out of their corn fields, the parrots simply repaired to the surrounding forests and canebrakes of which there were many. Cane is making a comeback today, but until recently there were few stands of river cane in Upstate South Carolina. In earlier years cne occurred in many places, even on smaller streams. Some of the larger canebrakes choked the banks of rivers for miles. Cane was an important resource for both the Carolina Parakeet and the Indians. 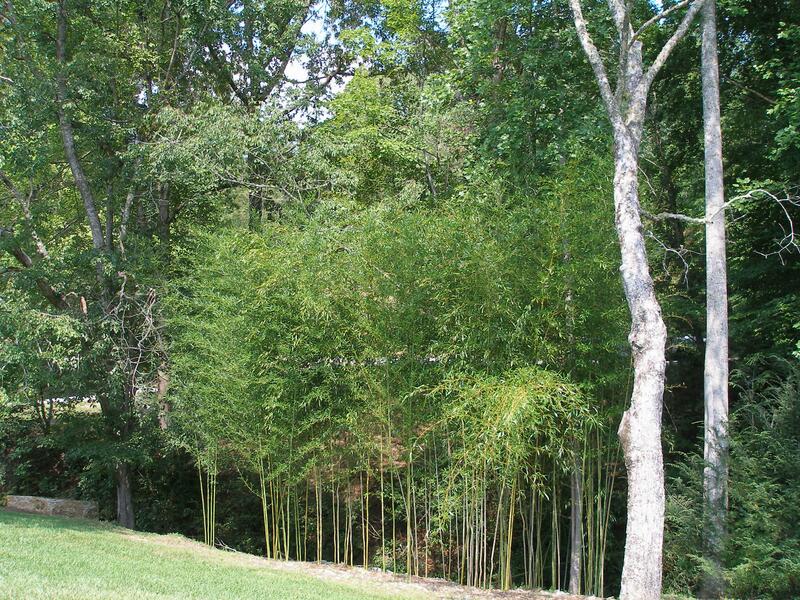 In some areas the Indians used it not only for household furnishings such as baskets and mats, but as wattle for houses. Cane was also used for small weapons including knives, blowguns, arrows and fish spears. It is impossible today to determine by observation exactly where the larger cane patches were; we find only scattered remnants. But we know there were significant canebrakes in the vicinity of Eastatoe, by nearby place names: Big Canebrake, Little Canebrake, Cane Creek, and Cane Mountain. 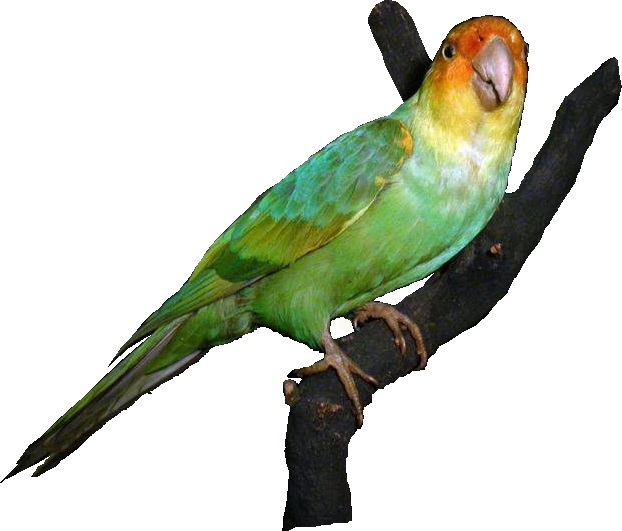 For the Carolina Parakeet the canebrakes were safe havens, providing sheltered breeding habitats. With their green and yellow coloring the little parrots were practically invisible in the heavy foliage. The native people of Eastatoe and their beautiful bird had dwelt long together in their green valley when a new element shattered their relatively idyllic existence. Strange people began making their way into the uplands. They were white men, with white men’s ways and white men’s diseases, and an insatiable appetite for land and resources. Blowing into the land like leaves before a summer storm, they brought swift and sweeping changes to the Eastatoe Valley and the Cherokee nation. First they brought the smallpox; the Cherokee had their initial exposure to smallpox in the late 1600’s; however we find only a mention of that occurrence. But, in 1738-39 the disease again made its way into the mountains, by way of the Trading Path from Charles Town. This time it decimated the Cherokee nation. Between 7,000 and 10,000 died, representing about half their population. Nor was that the end of the while man’s sickness. Another serious outbreak occurred in 1759-60. The Cherokee had never been exposed to smallpox; they had no immunity or resistance; and their efforts to cure the malady (by sweating followed by immersion of the victim in cold water) did more harm than good. Thus they were easily overcome by the disease. During colonial times, the Cherokee occupied or claimed most of the area that now comprises western North and South Carolina. In the section that is now South Carolina were situated their several Lower Towns including a main town at Keowee and a trade town in the Eastatoe Valley. There a government agent called a factor ran a trading post under the auspices of the South Carolina Assembly. English merchants were eager to obtain furs and skins to be shipped back to the British Isles. The Cherokee were just as eager to have English made guns, cloth, hatchets and trinkets. Beginning in the early 1700’s and for many years thereafter a lively trade was carried on between the Cherokee and the English, not only at Eastatoe, but in other towns as well. Unfortunately, the unscrupulous practices of some of the white traders infuriated the Cherokee, adding fuel to the already smoldering hostilities between them and the English. Meanwhile, white settlers continued pouring into the Carolinas. Some of them pushed up illegally into Cherokee hunting lands. Disputes rose, skirmishes were fought; and then full scale battles. Treaties were made, and with each one, the Cherokee people gave up a little more of their land. Injustices and retaliations were regular occurrences. A massacre of white settlers at Long Canes was followed by a bloodbath at Keowee, where a large number of high ranking Cherokee hostages were killed at Fort Prince George. This was done in retaliation to an Indian attach that had mortally wounded the fort’s commander, Lieutenant Cotymore. All the while the fledgling Carolina colonies were experiencing a threat to their backsides from the French who were approaching from the west, via the Mississippi River tributaries, and making efforts to turn the Cherokee against the English. Prior to the slaughter at Fort Prince George, a number of Cherokees had held out for peace with the colonies. After that, the Cherokee, egged on by the French, commenced what amounted to an all out war against the settlers. Only one Cherokee leader continued to favor the English. That one was Attacullaculla, and even he lost much of his influence due to his pacifist position. With hostilities at an all time high, the English felt it necessary to send troops into Cherokee territory to subdue the Indians with punitive measures. In 1760 forces led by Archibald Montgomery sacked and burned a large number of Cherokee towns, including Eastatoe. The residents of Eastatoe fortunately were forewarned and most had abandoned their town before the soldiers arrived and destroyed it. Montgomer’s men wrought total devastation wherever they went, setting fire to houses, granaries and cornfields, cutting down and destroying orchards, killing many Indians and taking a number of prisoners. The next year Governor Lyttleton of South Carolina felt it necessary to send forces into Cherokee territory once again, this time under the command of Colonel James Grant. Grant led a ferocious attack against the Cherokee, reducing one settlement after another to ashes. When it was over he estimated he had destroyed fourteen hundred acres of corn, beans, and peas and driven five thousand Indians into the forest, where they were on the point of starvation. Pretty soon Attacullaculla appeared at Fort Prince George, suing for peace on behalf of his people. Thus ended the bitter conflict known in the Carolinas as the Cherokee War. We can be certain the little parrots of Eastatoe fled from the smoke and flames, or hid and watched from a distance the strange goings on in their valley. In spite of their troubles, at this point the Eastatoe birds were faring better than the Eastatoe people. For the Indians, the Cherokee War was just one conflict in a long series of troubles. After another destructive campaign led by General Griffith Rutherford and Major Andrew Williamson in 1776 the Cherokee had only a handful of settled communities left. Some of the Cherokee had sought refuge among the Creeks or in their own Overhill Towns. Others were hiding in the mountains and begging food from nearby white settlers. The next year in a treaty at DeWitt’s Corners in South Carolina, the destitute Chrokees surrendered nearly all their lands in upstate South Carokina, including the Eastatoe Valley. They were allowed to remain on the land and this they did, tenaciously rebuilding a number of their settlements in present Oconee county. Meanwhile the Carolina Parakeet was holding its own nicely, even up to the end of the 1700’s. A map showing its former range includes better than half the present 50 states. Who would have believed that in a mere hundred and fifty years they would all be gone? A report from the Lewis and Clark expedition in the early 1800’s reveals that large numbers of these birds were sighted in the vicinity of the Mississippi River. Audubon reported numerous Carolina Parakeets in various locations during the 1850’s, though he admitted their numbers were diminishing. But even then the birds were seldom seen in the Carolinas. Fifty years later, around the turn of the century the Carolina Parakeet appears to have made a last stand in the Florida swamps. And of those few, several were shot (yes) by an ornithologist. In a few short years, in 1918, the last known of this species died at the Concinnati Zoo. After that there were reported but mostly unproven sightings up into the 1940’s. The only ones left today are lifeless stuffed specimens in museums. So what did happen to the Carolina Parakeet? What happened to the Eastatoe Cherokees? The parakeets, like the Indians, were displaced by the European settlers who cleared the forests, drained the swamps, opened the riverbanks, and turned the canebrakes into cultivated acres. Further loss of the Carolina Parakeet’s habitat was brought about by the introduction of honeybees in the new world. The bees competed with the birds for tree hollows needed for nesting. And when flocks of parakeets set their sights on the white men’s crops, they were not politely shooed off Indian fashion into the woods. Guns brought them down, by the hundreds. The Eastatoes wove designs into their ceremonial robes with the Carolina Parakeet’s brightly colored feathers. Well, the white people would do them one better. During two walks in Manhattan in 1886 one ornithologist noted feathers from 40 native bird species adorning 525 ladies hats. Though parakeet feathers were not the most desirable, (that distinction went to the unfortunate herons) the hat trade nevertheless thinned out the parakeets. Some of the parakeets were killed for sport; and some for food. Some may have died from diseases transmitted by domesticated fowl. Many were captured and sold as pets. And eventually there just weren’t any more. Like a common commodity, they were all used up. Before anyone realized what a treasure they were, they had disappeared. The parallel is obvious. Like their winged counterparts, the Eastatoe people along with the various other bands of the Chrokee were gradually vanquished by the white settlers. Their efforts to defend their territory were valiant, but they were the weaker race, and had to acquiesce to circumstances they could not control. As their numbers dwindled due to disease, war and starvation, those that remained were forced to watch in dismay as their lands were appropriated by their conquerors. After the Colonies’ successful overthrow of British rule, settlement by white people began in the Keowee River basin as Revolutionary soldiers took their bounty lands there and in the nearby tributary valleys. Very soon other settlers came. The Scots-Irish name “McKinney” shows up in the Eastatoe Valley records as early as 1825. By this time most of the Indians had joined their relatives in Georgia and Alabama, or in their North Carolina towns. A few remained in the Upstate, and mingled peaceably with the white settlers, but in North Carolina the conflict between the red man and the white man continued. Finally in 1838 and 39 the U.S. government wounded up the scattered bands of Cherokees that would go willingly and hunted down most of those that would not and sent them along the infamous Trail of Tears to the West. Thus the original owners relinquished their claim and abandoned the Eastatoe Valley. Even so, a handful of dauntless Cherokees managed to live out their lives hidden away in the high country, having no desire to live at the Reservation that was eventually established for them. ….Right here, if I really try, I can almost see a wisp of smoke rising from the charred skeleton of a rude log hut, just over there, at the base of the hill. A brightly colored little creature perches incongruously upon the tip of the blackened ridge pole. He is screeching something at me in his parrot language. From far away I can hear the beat of the Cherokee drums. The message is unmistakably clear: the battle is over, and yes, we won; the land is ours. But we have lost. It’s very sad what we have lost….the beautiful bird….the beautiful people…. And now: God save the beautiful valley of Eastatoe! 1. Weatherford, Carol Boston. The Carolina Parakeet – America’s Lost Parrot in Art and Memory. Minneapolis, MN: Avian Publications. 2005. 8-21. 2. Eastatoee is the recently adopted spelling of the more common “Eastatoe”. 4. McCrary, Mary Jane, Transylvania Beginnings: A History. Easley, SC: Southern Historical Press, Inc. 1984. 84-85. 5. McFall, Pearl S. The Keowee River and Cherokee Background. Pickens, SC, 1966. 7. 8. Milling, Chapman J. Red Carolinians. Chapel Hill, NC: University of North Carolina Press. 1940. 305-306. 9. Milling, op. cit. 319. 10. Weatherford, op cit. 42-53. 12. Weatherford, op cit. 26.